Big Bucks to Me on the British Pound! With the referendum on the UK’s exit from the European Union in June, there are going to be violent moves with the GBP. So let’s get set to benefit from this wonderful opportunity. 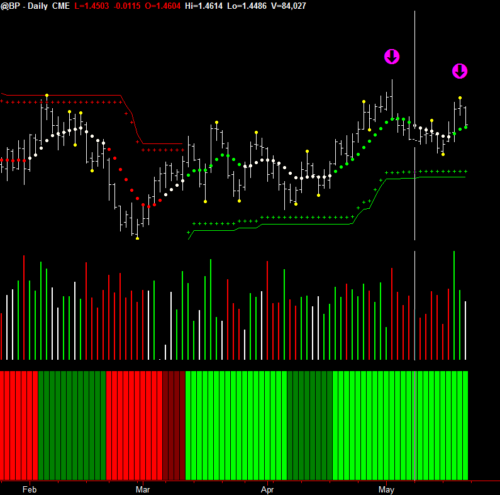 Overall chart setups that Hawkeye has identified in all timeframes, Trend set to conservative speed. The Monthly price is in a downtrend. 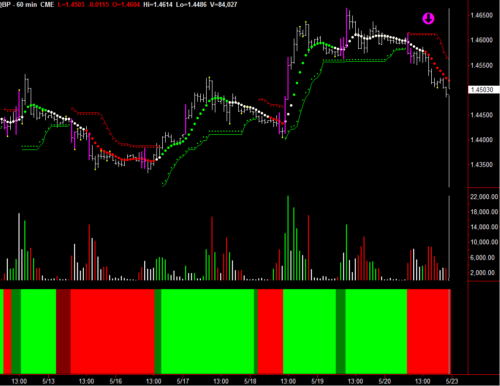 The Weekly price is also in a downtrend bias, but now in congestion with Pivot high two bars back. So let’s look at faster time charts. Although in congestion bias up, the volume turned to no demand on Friday and there are two Pivot highs pushing the market down. Great short at 10.00am Eastern. Another great short at 05.30am Eastern. 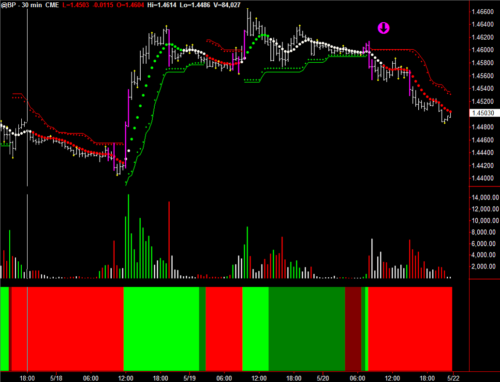 Please look to trade the GBP crosses at your preferred speed. That’s where the action will be for the next 4-6 weeks. It was a brilliant trade. Hard to believe that not more people are using the hawkeye indicators. 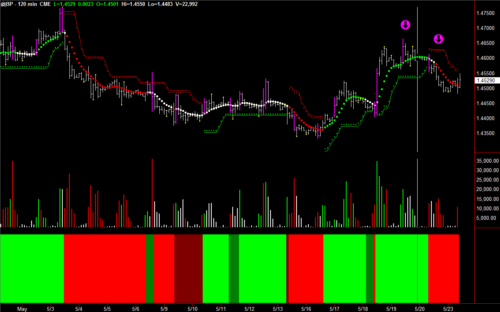 The trade showing evergreen.I like this.Please continue it. Next PostNext Here We Go. Nearly There on Gold.